People that live in areas with cold climates are well aware that pipes often burst in the winter. Pipe bursts are common in the winter because water freezes within the pipes, causing the pipe to expand and crack/burst. What many people do not realize is that a pipe burst can happen any time of year, including the summer. 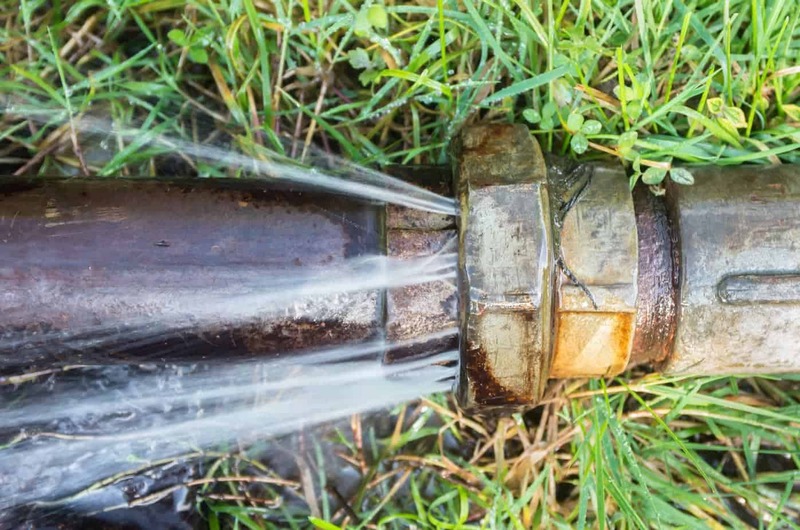 Here are some reasons why you should keep a look out for pipe leaks on your property this season. The heat of the summer calls for water everywhere. From filling up swimming pools and washing cars to watering the garden and playing in the sprinklers, everyone is moving water in their direction. Because of all of this, failing pipes can occur in systems that haven’t been updated or checked recently. If you do check on your own, keep a lookout for any pipes that may have been warped throughout the winter months. In Murrieta, we know what it’s like to have that wave of severe heat and no rain. This combination leads to dried out land and looser soil. These conditions give more room for pipes to shift and ultimately break. While this is highly unlikely to happen within your home, pipes leading up to your home can be affected. You can try to cut back on your household water intake in order to relieve the pressure from your system and hopefully allow for a longer pipe life. We’ve moved passed spring, but spring means lots of growth which can ultimately affect the piping system and cause pipe leaks. While this a very common occurrence, it is probably addressed the least. Roots will grow naturally towards the source of water which means it can wrap around a weak part of a pipe line and cause the line to burst. These types if situations require a plumbing service and you’ll need to call a plumber to solve the issue. Ultimately, it is important to keep a healthy amount of maintenance on any home’s piping system. You can run into a plethora of problems, even in the summertime. If you’re experience pipe leaks and looking for a service, you can give us a call here at ProFlo. We will come assess the damage and help you repair right away. If you’re not sure if you’re experiencing a leak, but want to see some other signs a plumber might be the next step, you can also read up on 4 other signs you can call a plumber by clicking here.